Excitement is running high, as this year the event is held at the historic Omni Homestead Resort in Hot Springs, Virginia. Q: What do I register for? The Registration page has a lot of stuff on it! 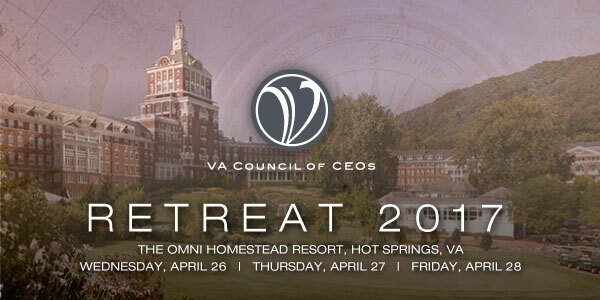 A: Start with CEO Retreat Registration. That is your main ticket to the Retreat, covering meals and program from Thursday morning to Friday mid-day. Then, consider coming in on Wednesday – most participants do – for the Opening Reception. And, to maximize your time making connections, you can choose one of the group activities on Wednesday – Golf, Ziplining, or the Cascade Gorge Hike. Or enjoy the many resort activities available to you. Q: Do I need to book a room? A: Not really. Let’s call it business casual or resort casual. Relax and be comfortable. There may be stricter dress codes in the Homestead dining room. Still have a question? Please contact Connie.